Only “Recoil,” which prominently features the leader’s banshee wailing on trumpet, and “Sleep With Echoes,” fueled by Westerhus’ skronky, distortion-laced guitar excursions, recalls the overt bombast of Hamada. What’s unique about this particular project is that Molvær eschews the myriad looping techniques that marked his previous album, although his trumpet is often soaked in long delay lines for eerie effect and occasionally tweaked with a harmonizer to bring an orchestral sound to the proceedings. 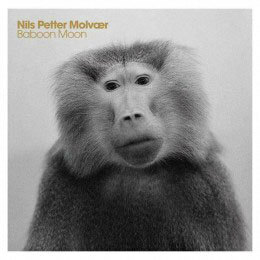 While Jon Hassell may well have been the innovator of this approach of combining trumpet with advanced electronic techniques for a futuristic mix, Molvær has taken that same aesthetic to some daring and personal places of his own over the past decade. Baboon Moon is yet another triumph in his ongoing explorations.